your body and your fat are really good friends. Has the world become more fat friendly? Not obese friendly – fat friendly. I’ve noticed the intesity of food commercials on TV. And they are intense: fast food; the granola bar war (organic, healthy, soft with chocolate – all loaded with fat – but healthy fat, right? ); ice cream; Sara Lee; chocolate everything; and all the stuff on pastas. 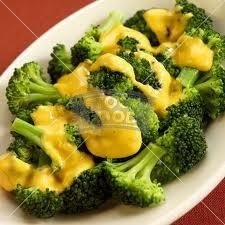 I have noticed that nobody advertises broccoli unless smothered in cheese (fat)! Where is the broccoli marketing board???? We are now told that there are healthy fats and unhealthy fats! Damn, I’m wearing my unhealthy fat but it loves me and doesn’t want to leave just yet. I remember my Mom switching to safflower oil from shortening because of the “saturated” fats. Now we know if it’s hard it’s bad (OMG, that calls for a whole bunch of very inappropriate comments)! Saturated fats, hydrogenated fats, trans fats etc – all are bad. Then there are the “good fats” – omega fatty acids, unsaturated fats, nut oils, fish oils (don’t cook with these, they stink), etc. You can google so much about fats. We need some fat in our diet and our bodies. 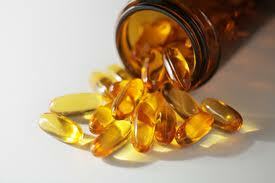 Fat carries certain vitamins (A,D etc.) and these are not water-soluble we have to get them a certain way. That’s why you make sure kids get at least 2%milk so they can get the vitamins that grow their bones and brains! There is one big problem with all fats – they are calorie dense! I am calorie dense! So, as with all things, moderation (I am laughing out loud at this point)! 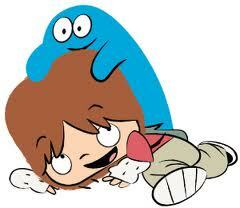 But I am very accustomed with my big, round, pillowy body. If When I lose my weight, I will have to say good-bye to most of my body. A weird thought and even weirder pictures in my brain. I like fat, mine and the food ones. I like butter, gravy, whipped cream and pulled pork. I also love my heart, liver, kidneys and arteries – and my friends and family. I’m going to hang around a bit longer and lose some more fat. And I truly appreciate that the clothing industry is a little more fat friendly, too. There are some nice things for people my size, now! ~ by 1fatgirlshrinking - Diane Kirby on April 4, 2012. The rules of what should and shouldn’t be eaten, healthy or isn’t changed so frequently! People raved about the high protein and fat Atkins diet then the man himself died fairly young of a heart attack. I’ve lost some weight but the rest isn’t budging, perhaps I’m meant to be a chunky monkey? Screw the worlds statistics? From time to time I go searching for new and exciting weight reduction ideas and my audience usually likes to hear concerning the latest greatest.